The Ford Ranger is around from some time now, and when it was first launched in 1992, it managed to attract a lot of interest thanks to its generous size and payload capacity which placed it slightly ahead its competitors. The Ranger’s rivals however, didn’t remained long time behind and after a pretty short period of time they’ve recovered the lost ground and came up with better products. 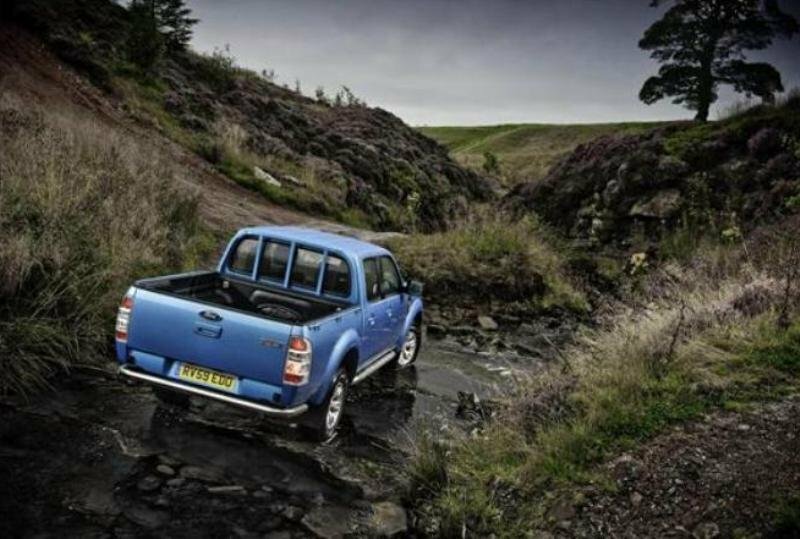 The battle between the Ford Ranger and its rivals continued over the years, and the year 2006 brought a new set of cosmetic and technological upgrades for the American pickup. Though, despite the fact that the Ranger remained on top of the sales charts, its old platform never managed to catch up with the high standards imposed by its Japanese competitors which are currently the segment leaders when it comes to quality and performances. Even American pickups from Chevrolet, Dodge and GMC are positioned slightly ahead of the Ranger. Leaving apart the cons, Ford Ranger is offered in two cab configurations (Standard and SuperCab) and two bend length options at a pretty competitive starting price of $ 21.700. Two wheel-drive models can tow 750kg unbraked or 1600kg braked, while four wheel drive Rangers can deal with up to 3000kg braked. 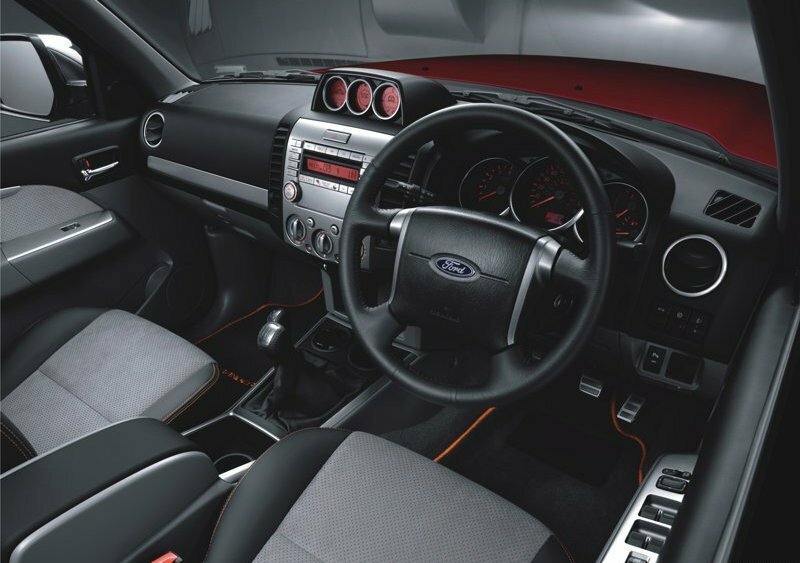 The overall exterior design of the 2006 Ford Ranger didn’t changed too much, but there were made a few key changes to bring the vehicle’s look closer to the modern times. The most obvious upgrade can be seen at the front fascia were the Ranger benefitted from a restyled grille and sharper headlights. The new grille was based on Ford’s F-150 and F-250 models and looks fairly good, enhancing the purposeful look of the Ranger. The exterior modifications continue with the front bumper which received new lines and reshaped fog lamps. There are also new fender flairs which are slightly bigger than the old ones, while at the back, the big taillights have been also redesigned. The Double Cabs have a maximum payload of 1175 kg, while the super cabs can deal with 1225 kg and the Regular Cabs with 1235 kg. The load bed is 1456 mm wide with the length varying from 1530 mm to 2280 mm depending on the cab configuration. The load can be secure by means of internal and external anchor points while the tailgate can be lowered completely or locked horizontally to make room for longer goods. You can get inspire pretty easy and you are welcomed by a much better looking interior than the old cabin. The entire dashboard has been completely redesigned as well, but it still keeps that masculine touch that characterized the previous cockpit. The plastics are slightly better too, but don’t expect to find any high grade materials as the cockpit remains highly utilitarian, being build to survive to harsh working conditions. Fortunately, the overall ergonomy is fairly good and most of the controls are placed within driver’s reach, while the front row of seats offers adequate leg and head room. The driver’s seat could’ve come with better side bolstering, but thankfully there are plenty adjustments to help you find a proper driving position. The rear seats however, lack proper leg room and they feel pretty cramped being able to accommodate only two adults in comfort. On the other hand, you won’t have any complains about the all around visibility as you are surrounded by a generous glass area and the external mirrors are fairly big as well. Storage is also part of the first class with enough cubby holes, door pockets and cup holders to keep you satisfied. The top of the range versions come pretty well kitted, with features such as leather upholstery, air conditioning, CD changer, electric windows and parking sensors. 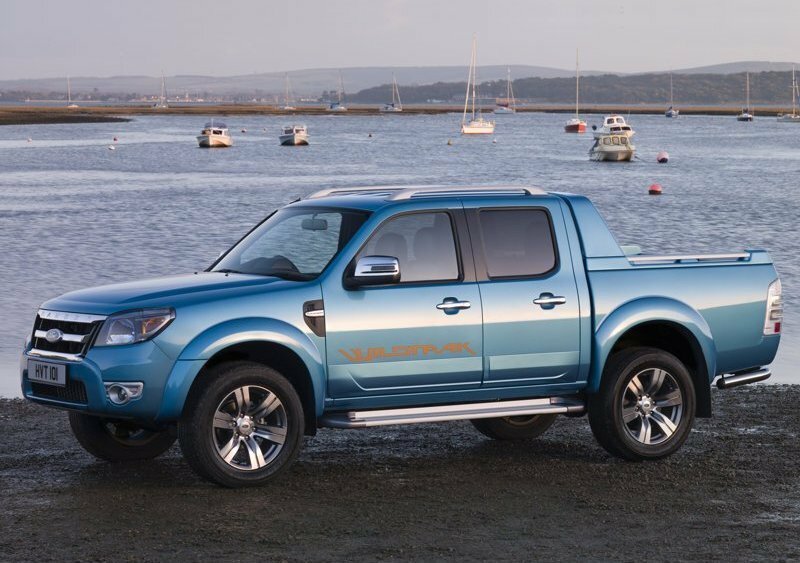 The new Ford Ranger comes with two versions of the Duratorq TDCi turbo diesel engine. The common-rail diesel engines are available in either 2.5-litre or 3.0-litre versions with 4x2 or 4x4 configurations. The engines can be mated on either a five-speed automatic or a five-speed manual transmission. The 2.5 liter engine develops 143 hp with 330 Nm of torque at 1800 rpm. Equipped with this engine the 4x2 Regular Cab Ranger scores a combined fuel consumption of 8.3 liters/100 kmph, while the 4x4 model will consume 8.9 liters/100 km. The top of the range 3.0 liter unit comes with 156 hp on tap and generates 380Nm at the flat peak of its torque curve. This engine can tow braked trailer loads of up to 3000 kg. 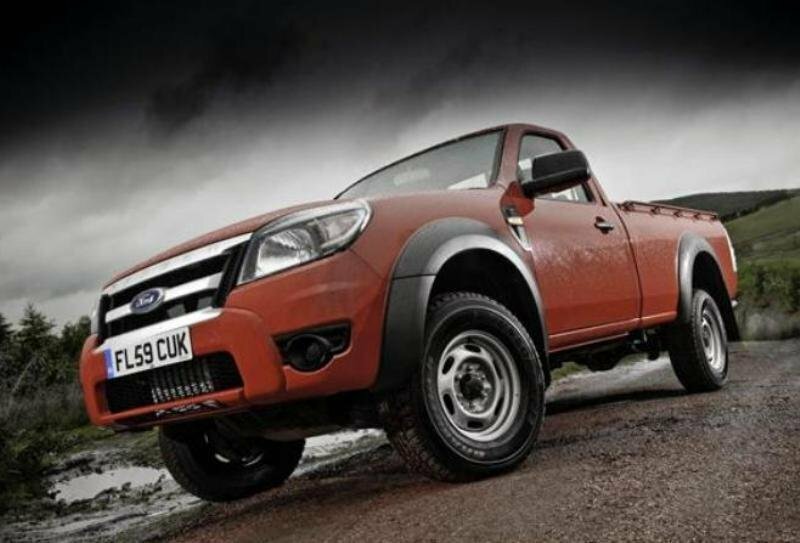 On road, the Ford Ranger continues to be a rugged beast. It can go without problems through mud or dirt with heavy loads on its back and it drives like a truck. 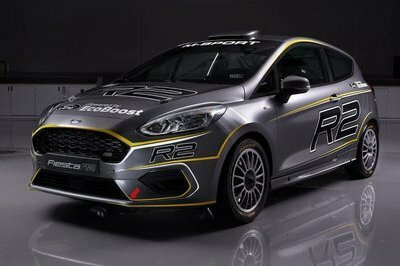 Though, the ride is stiff, the engine is loud and the chassis isn’t exactly our first choice when it comes to driving dynamics. 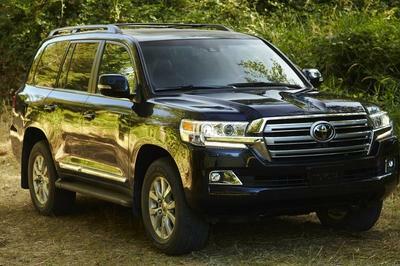 The uncivilized road manners of the Ranger betray its dated chassis and acts as a big disadvantage in a time when buyers are looking more refined engines, carlike handling and comfortable ride. The Ranger fails to offer these attributes and remains to be a utilitarian work horse that it’s best to be left on rugged and muddy terrains. Luckily it’s off road abilities are pretty good, even if they can’t be compared with the likes of Nissan Navara. 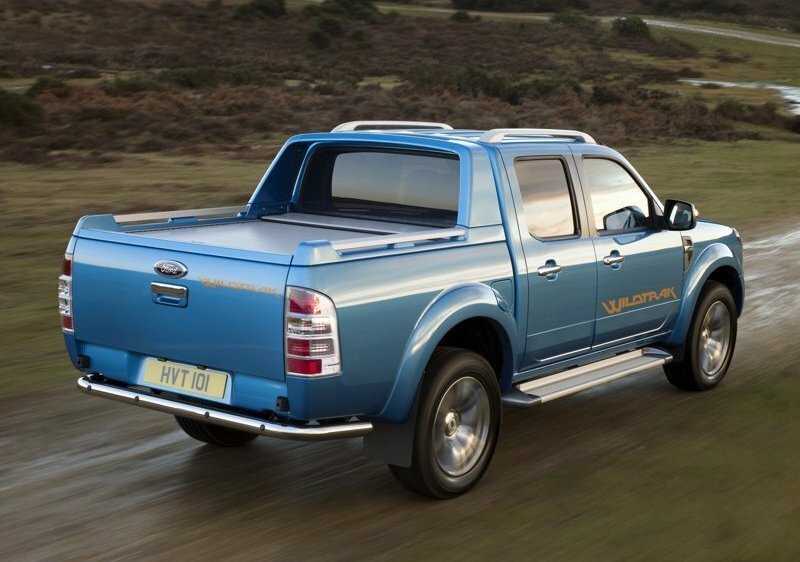 The Ford Ranger received a nice exterior facelift, but its main faults still remain unchanged. The cab is pretty small and can carry comfortably only two adults on the rear seats. The towing capacity is decent, but if you’ll look at Toyota, Dodge or Nissan you’ll find stronger pickups. The rivals come with more spacious cabins and are slightly more refined as well. Unfortunately the Ranger remains dated for today’s standards and needs a serious dose of refinement.